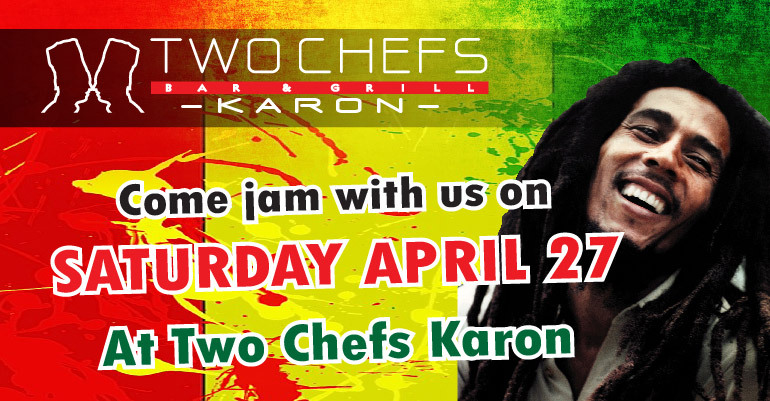 Have a night of no worries on April 27, 2019 at Two Chefs Karon! Let's jam all night long at Two Chefs Reggae Night! Hear the Two Chefs house band play your favorite reggae hits and transport you to the Caribbean! Who doesn't like that?! We also have our All You Can Eat Jamaican Inspired Mixed Grill for just THB495! ou can book on our website at WWW.TWOCHEFS.COM or find us on Facebook at WWW.FACEBOOK/TWOCHEFSTHAILAND You may also call us directly at Two Chefs Karon 076-286-479.